I hope you're all able to take some time off to spend with family. 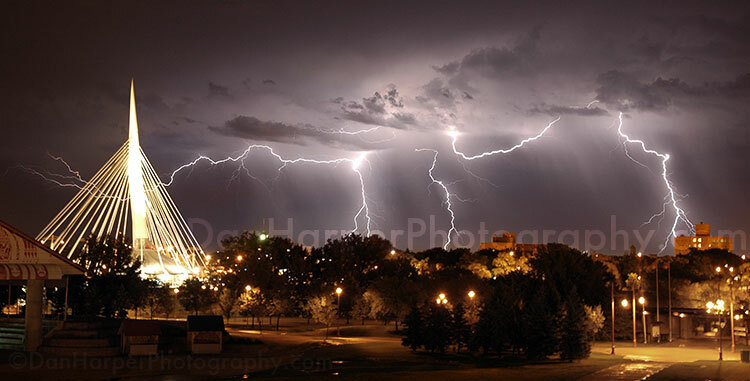 Photographic print sales: I'm happy to have sold one of my lightning photos to a long time friend...who can't be mentioned here because his wife will know what she's getting for Christmas ahead of time. Every once in a while I get to shoot something that really touches me and this was definitely one of those cases where the WCC put together a party for their staff's kids! Very cool event from a company that obviously cares about it's ppl. I was so touched by this that I offered all the prints requested as a gift. Just one little thing I could do at this time of the season. It's great to be able to go back and visit previous schools, areas and friends as well as to shoot in places I've never been before. Tonight, as the president (care-taker) of the Winnipeg Photo Community, I organized a really fun holiday party with lots of gifts donated by Don's Photo. Huge thanks to Don's Photo for the great donation of gifts! Today I had the pleasure of working with the COC, a great experience and honor to photograph some of Canada's official Olympic team! 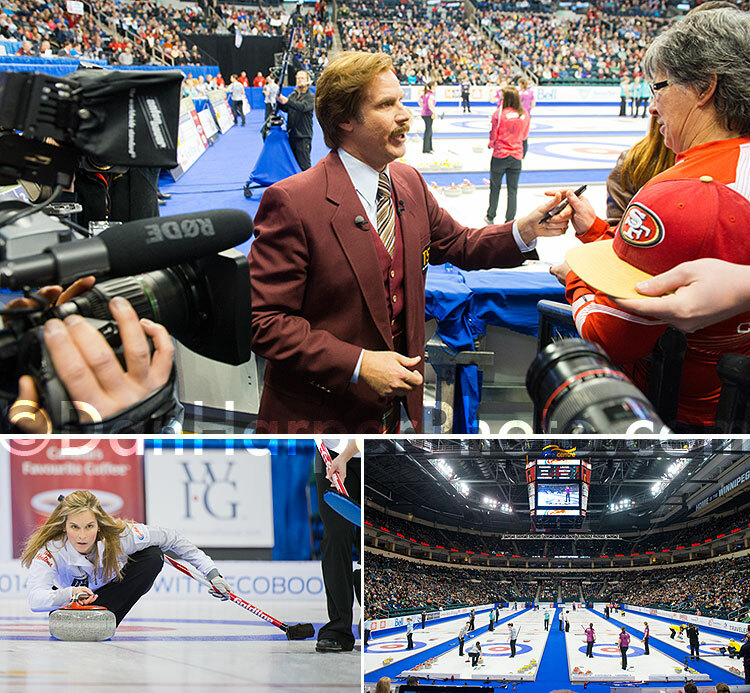 In this case I was hired to take the official photos for the Canadian Olympic Curling Team, just the day after they won their position just down the street playing at the MTS Centre in Roar of the Rings. A new photo added to my WPG360.com web site is this winter panoramic view of Winnipeg. Well that's more like it! Back in October when I took the promotional photos for FDV's 2014 season there wasn't a flake of snow anywhere. However this time we got a bunch of the white stuff! Today I hired two other photographers to assist me in shooting photos and video of a really interesting event, the meeting of two bears. It went really well...that is to say, the bears seem to have gotten along well and no blood was shed, and the video and photos worked well too! This video ended up getting the 2nd most views of all the APC's videos by almost double the next video's views! Maybe I should do more video? 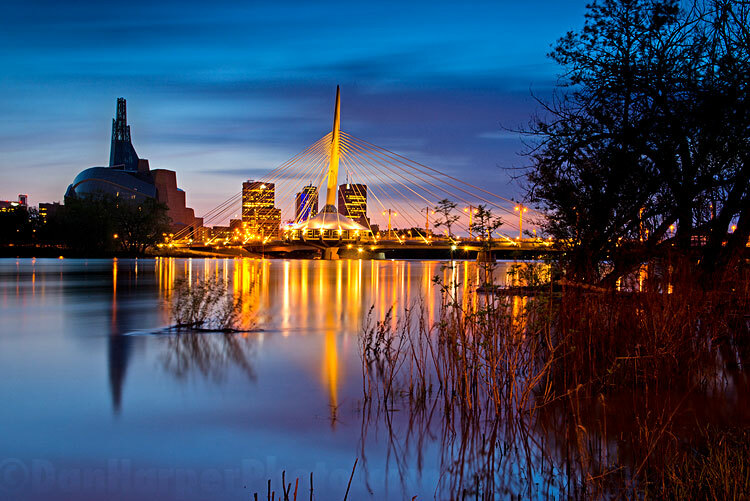 WPC event: Tonight, as the president of the Winnipeg Photo Community I planned an event which included another "show and tell" image critique session, thanks to it's popularity in October. It was once again a great opportunity to give and take critique in order to improve our photographic techniques. It's funny how life goes around in circles. My grandma and grandpa worked and met at Scotiabank. My best friend's dad was a manager at Scotiabank. So therefore I use them as my bank. What's even better is that my actual branch used me when they needed photography! It's great when as a client you turn a client into a client...wait, that made no sense...anyway, you know what I mean. 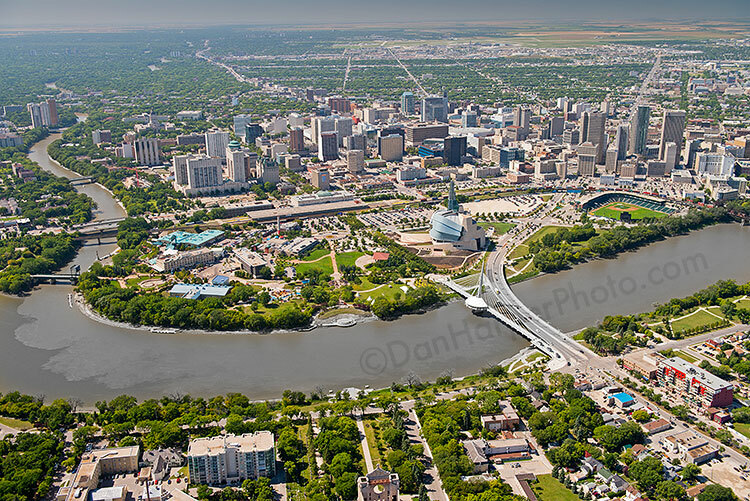 Stock photography of downtown Winnipeg sold to: Krovats Wealth Management Solutions/RBC Dominion Securities Inc. When I'm not shooting for a client I'm out shooting something for myself. Just having fun, trying new techniques. If I'm not shooting for myself I'm researching new gear or techniques to improve my photography overall. Along those same lines I really like to talk to people about photography, even when it's about the negative side. Today I spent over an hour on the phone with a member of my photo club helping him with a problem with his camera and also with a wedding client of his who is really unhappy. I've been lucky to have very few "bridzillas" when I was shooting weddings and always do my best to make clients happy, no matter what so I had a great conversation and touched on a lot of the psychology of photography. Who knows, maybe I'll turn it into a workshop sometime! This is part of a large contract to shoot multiple projects over the summer including South Pointe Waverly West, the Winnipeg James Armstrong Richardson International Airport, the University of Manitoba and multiple others. It's strange to be shooting for the FDV when there's no snow on the ground but with the costumes and the smiles it still works great! Today I was shooting photos for their 2014 season that will be used in the programming, web site and on buttons even! As the official photographer and photography coordinator for the MTS Centre I subcontracted tonight's shoot of Sarah Brightman for the MTS Centre to my dependable photographer protégé Bobby. Thanks Bob! Once again this year I planned a walk for the Kelby World Wide Photo Walk. It's always great to get out with a ton of other photographers and just chat and walk without any pressure, still taking pictures but just for the fun of it! Photographie d'évènement: Université de Saint-Boniface - Les ROUGES! Some shoots are planned well in advance but most of the shoots I get have about a week or so notice. 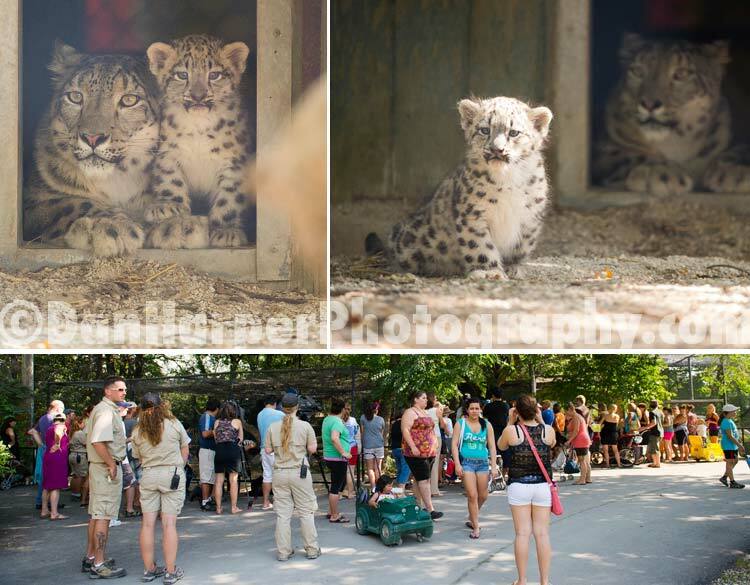 However in this case, I had about an hour to get my gear together and get over to the Assiniboine Park Zoo to get photos of their new Zoo Director, Dr. Brian Joseph. Event photography: Manitoba Tourism Awards& Travel Manitoba annual conference, a large annual event of industry leaders, including many of my clients from around Winnipeg! Sometimes a shoot can have special meaning, in this case it came from multiple connections in the past from both a wedding as well as my Grandpa having lived at the Wellington. Photographic print: I'm always proud to sell one of my photos as a print but in this case I was even more proud when one of my photos, a large metal print (new process) was sold to one of my long term clients as a retirement gift for one of their employees. Have a great retirement Marj! As the official photographer and photography coordinator for the MTS Centre I subcontracted tonight's shoot of the Eagles at the MTS Centre to my dependable photographer protégé Bobby. Thanks Bob! This was a very interesting project to work on as it provided several technical challenges including multiple lighting sources and the need to get texture into the photos. It's great to be able to work for so many different clients who keep my workplace challenging! In addition to the standard pointing and general shots Frank wanted I was happy to get him some more dynamic shots as well. It's always fun to get a few extra photos in when someone isn't expecting them, those can be the best from the whole shoot! Today, after an absolutely excellent 4 month period I'm finally taking down my long term gallery at the USB. I had a small "official closing" since I didn't have an official opening and was very happy to be able to show it to family and close friends who hadn't yet seen it. HUGE thanks to Mel, Jason and all the others who helped me get this organ is ed, to all who came and sent me nice comments over the inter-webz and to everyone who bought a print! It was a great experience which I hate to say I didn't take full advantage of due to the birth of Jeremy, my first born as well as a multitude of other busying factors in the summer months. 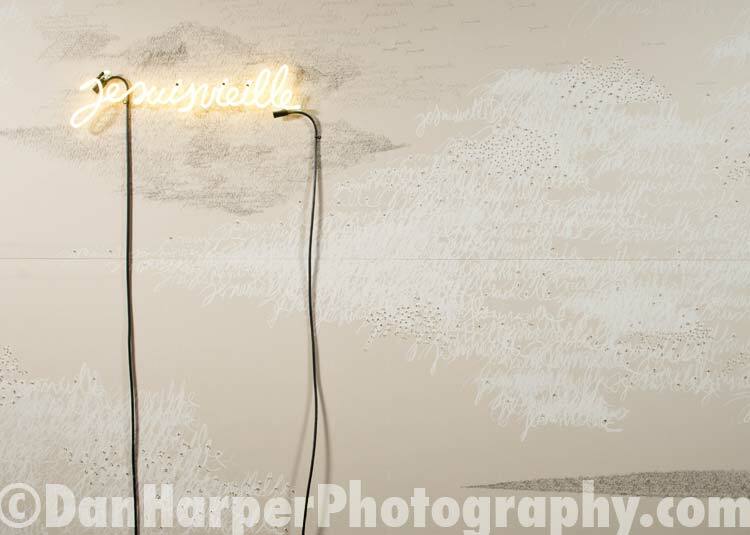 Last week to see my gallery of large images! At the end of next week I will be taking down my gallery at the USB after it's 4 month engagement. This will be an informal gathering to have a look at the gallery where I will be on hand to talk about how I achieved some of the work, the printing processes etc. Commercial aerial photography & aerial stock photography: Finally today, after waiting two days for ugly skies, I got to get up in the skies for some shots for a few different clients: Seasons of Tuxedo, the City of Selkirk and also took some time for some general stock photography of the city of Winnipeg and some surrounding areas. As official photographer and photography coordinator for the MTS Centre I offered the opportunity to my photo club (wpgphoto.com) to shoot Selena Gomez and Robert once again answered the call very quickly. Thanks Rob for helping a new father out when he has multiple assignments in one day, including his new son! Commercial aerial photography & aerial stock photography: Today I once again had to cancel my helicopter charter due to ugly skies...and lightning! Similar to landscape photography, you have to wait for the best light and most opportune and dynamic time for helicopter photography. Although, waiting for the sun doesn't cost thousands of dollars an hour! Commercial aerial photography & aerial stock photography: Today I had to postpone a helicopter charter due to ugly skies. New DJs, new partnerships and new programming means new photos! HUGE thanks to Mel, Jason and all the others who helped me get this organised, to all who came and sent me nice comments over the inter-webz and to everyone who bought a print! It was a great experience which I hate to say I didn't take full advantage of due to the birth of Jeremy, my first born as well as a mulititude of other busying factors in the summer months. Today marked my last day of time-lapse photography for the HSC cottage. I have now sent in 5 different time-lapses that will showcase the cottage for social media. You can now see my work on their web site: hscwinnerschoice.com *Currently only the cottage virtual tour and photo gallery are up, more to come in September as the rest of the houses are completed. Family photography: As a general rule I don't do family photography (ok other than my own maybe) but when a long time partner asked for family photos on a cottage dock...why not!?! Time-lapse photography, virtual tour & architectural photography for the HSC lottery cottage in Falcon Lake. *This is an updated BLOG entry, the location of the cottage was secret before its opening. You can visit the gallery which is just past the entrance at the Aulneau entrance (with the Louis Riel statue) anytime during normal school hours, 8am to 6pm or so. 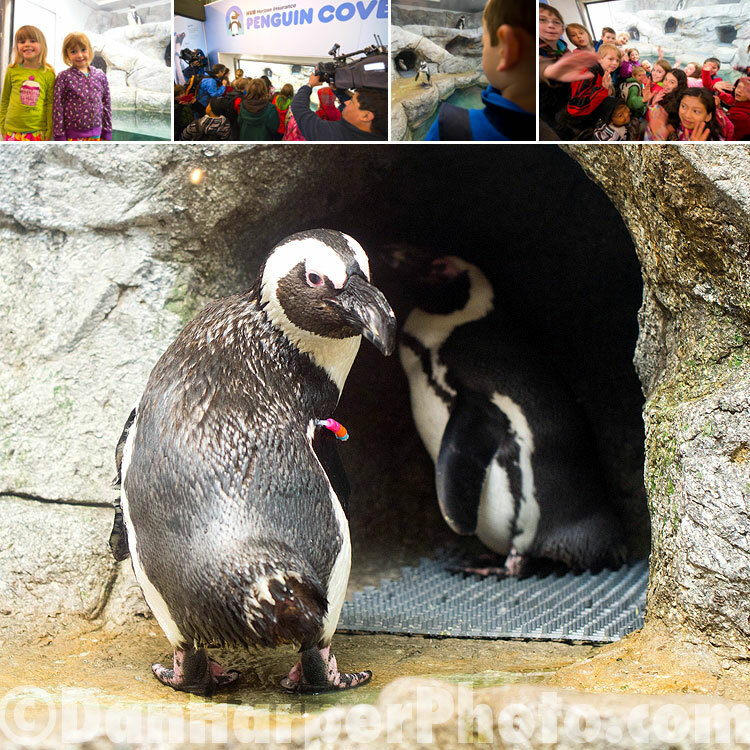 They're also open on weekends so be sure to check it out! As the official photographer and photography coordinator for the MTS Centre, due to just having our first baby yesterday, I offered the opportunity to shoot Megadeth to one of my photo club members from the WPC (WPGphoto.com) and Robert was kind enough to help out. Thanks Robert! Ever since my memories started, I can't think of a time that I didn't want a family. I think "want" isn't the right word, I think thanks to the great family and upbringing I had, the word "want" puts forth the idea that there might have been another way that I would have chosen for my life, there isn't, I've always been going to have had a family. So today, I'm massively proud to announce Jeremy Harper! After a measly 20.5 hours of labour, a pittance for such a strong woman as my wife Camille, he was born just 9 minutes shy of the same birthday as the royal baby. I think he wanted his own special day and not to share with anyone else. Welcome to the world buddy! 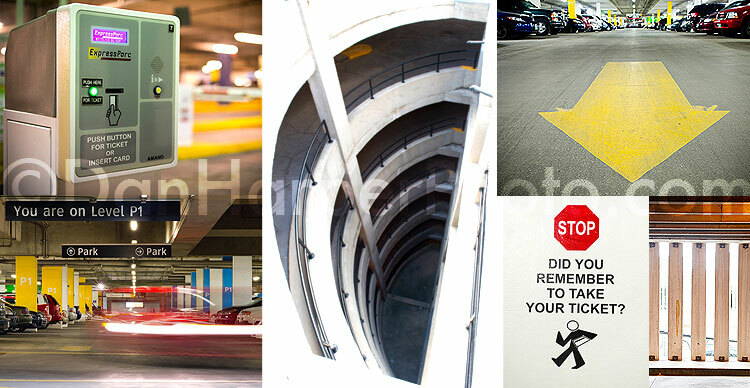 You might think of parking lots as dim and dingy...and they are...mostly, BUT in the case of the FNP's 3 level parking lot at the Forks, their underground parking at Portage Place, and their parking lot at the medical arts building, I took it upon myself to show the brighter side of parking. I took this as a personal challenge to show a more interesting and brighter view of the common parking lot. Frankly, it was one of the most fun jobs I've had in a while! There are lots of really cool initiatives going on around the city, one of them is "Cool Gardens". 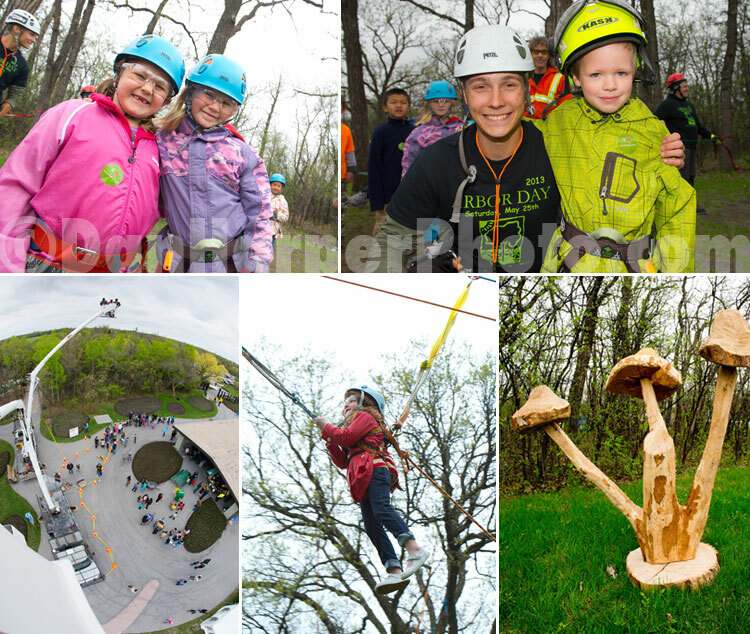 An environmental design initiative by StorefrontMB and the Forks. Slightly similar to their "Warming huts" in the winter, this is a really cool initiative with usable installations. A must see in the summer! Most people (who don't want their gear broken) stay away from bad weather shooting with good reason. However on the way back from the Kiss concert tonight there was a MAJOR storm that I couldn't resist and stopped off at the swimming pool parking lot at the Forks which had about 6 inches of water flowing into only two drains. It made for some cool photos! I don't sell a lot of my printed work, mostly because I'm normally fairly busy and don't make time to print a whole lot. However, when I was told by email that "I love your work, it reminds me of home." by Sharlene I had to make the extra effort to get her a panoramic printed while she was in town. 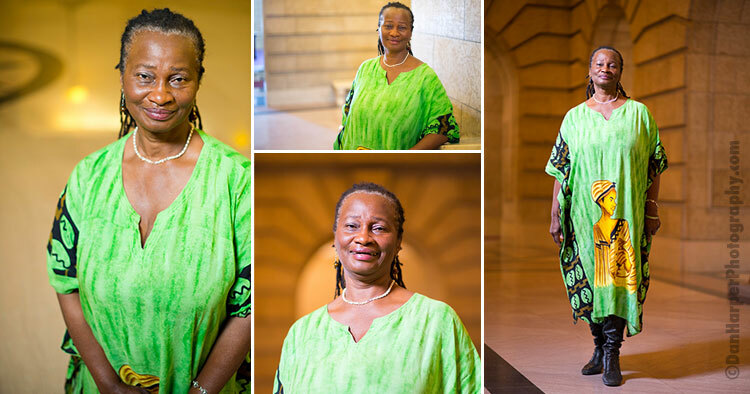 I'm always extremely happy when my photos excite someone, remind them of home, or just speak to someone so I was very pleased to meet someone whose heart is still in Manitoba, despite now living in Toronto. 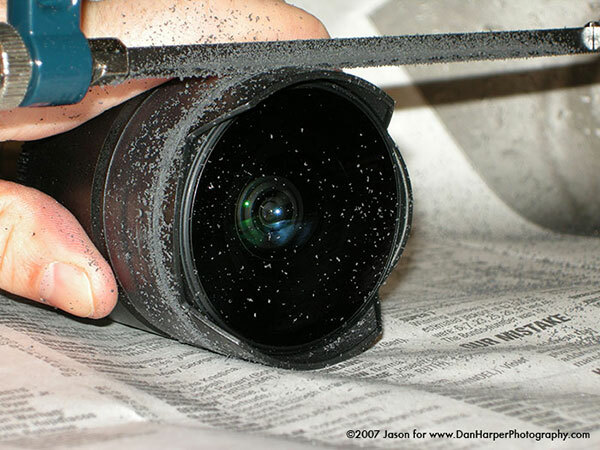 Really interesting story: In 2007, just before Nikon released its first full framed sensor camera I pioneered a technique now widely used to modify a lens for full frame use. I was months away from getting Nikon's first full frame camera the D3 and,in anticipation, I sawed into one of my lenses thinking I could make it better, for full frame. Strange but true, I saw the potential for a non-full frame lens to work better without it's "petals" the fins on the side used to keep the lens cap on. I used this lens on my full frame film camera, and after seeing how much the petals were in the photo, decided to cut the impediments off. This turned a fisheye lens into an even wider lens on the full frame body, so wide, you can almost see through time! Check out the original and still very popular article here on my Articles section. Today, while on the way to the Doc Walker concert I almost cut the tip of my finger off. 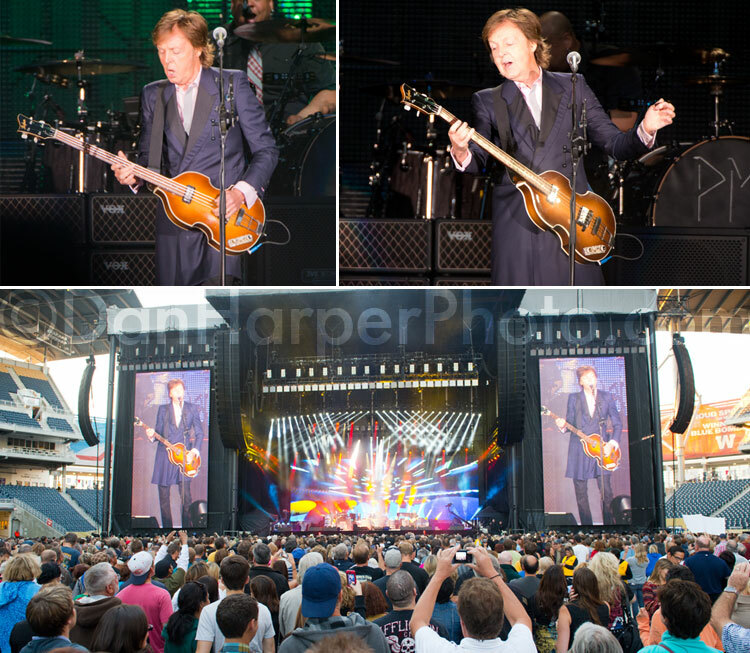 After a bit of quick thinking, I shot the concert and had the medics on site patch me up enough to go to the hospital. When a paramedic says "We can't help you, you need to go to the hospital" you don't normally keep shooting an event, but I still did that and carried a 20 foot ladder around to get a better shot, all the while being told by my contacts to "go to the hospital." Unfortunately due to a non-disclosure agreement I can't talk about this project...yet! Stay tuned for a BLOG update in the future which will talk about this very cool project. Gear tests: Today I had to test a bunch of my gear after discovering a major focusing problem with one of the cameras I was using while getting hit at the Bombers game. *This is another one of those top-secret projects as the family who will be representing the USB's new campaign is a well guarded secret (ok fine it's a slightly guarded secret...ok fine, everyone knows but no one admits it...) until September when the campaign goes out. *At this event, I was hit by an Argonaut player and sent in over $20000 of my gear including 2 cameras and 3 lenses for repair/replacement. I will be posting a major story about my experience with the insurance company, Nikon's repair service etc. later in my BLOG. Stock photography/lighting & storm chasing photography: Tonight while leaving an event I had just shot I saw some major storm activity and went out to capture it immediately! If you're interested in a print just email! Event photography/press conference: Assiniboine Park new tour bus! 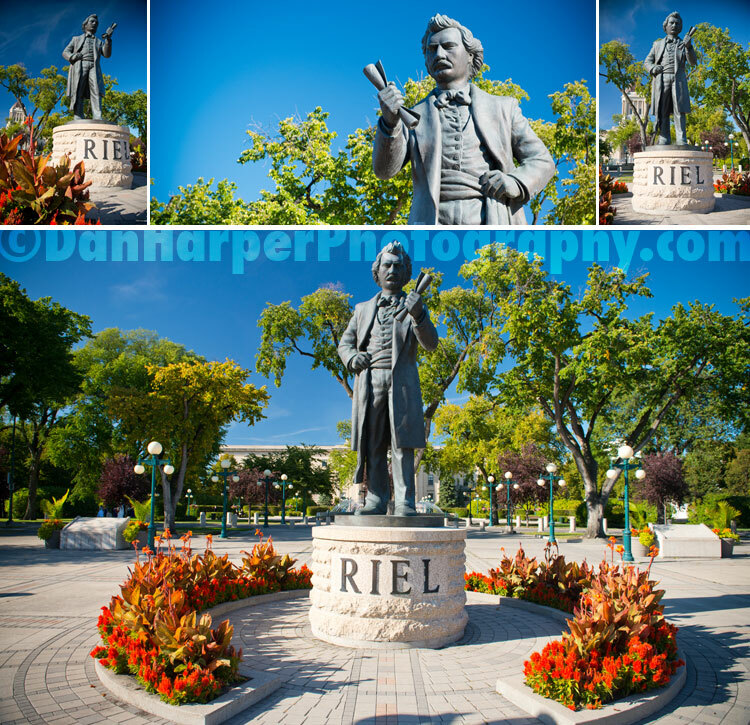 Stock photography: City of Winnipeg panoramics etc. Panoramic photography: Today I had a quick turnaround request to recreate a new version of one of my panoramics from Westview Park aka "Garbage Hill" . This was for a return client from Victoria who I'm very lucky to have had a nice sky for! Look for this and more new panoramic photos on my stand-alone panoramic site: WPG360.com More and more people are buying my super high resolution photos as gifts which is great to get really nice photos of the city out there! As the regional manager for Marathon-Photos, once again this year I was in charge of hiring 15 photographers to help shoot the Manitoba Marathon. This included training for people who hadn't worked for us before as well as countless emails and phone calls to organize and coordinate all photographers for their positions and shooting times. It's always really fun to be a part of such a large project to capture a single event! *This is an updated BLOG entry, the location of the cottage was previously not allowed to be divulged. Having been a big fan of the UFC in its early years it's great to see how it's evolved and that it has such a big following in Winnipeg! 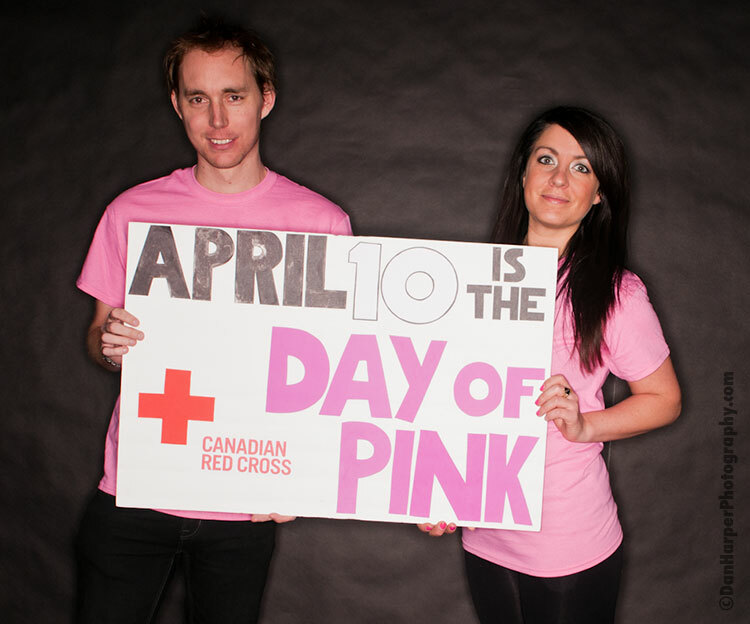 Stock photography: Another nice day in the 'Peg! I always try to take advantage of a nice day, so today was out at the Forks at one of my regular spots to get some new stock photography of the city. Also took a new pano, look for it on my panoramic site soon! One of "those funny things that happened to me" while out shooting: I saw the Power97 cruiser out and about while I was shooting some stock photography so, not knowing who was in it, called the promo department at the station to have them send it back to me to get some shots on a really nice day. Today I spent the day at École régionale Saint-Jean-Baptiste doing studio and candid photography for the DSFM. Gear test: Today I received a new lens to test for a project. What I found most interesting is the idea that primes will always be better than zooms for image quality is now almost dead. I have found that over the past 5-10 years, manufacturing techniques have vastly improved and although you'll always pay for good quality glass, zooms are now a part of that. TOP SECRET: Today I witnessed something I've never before seen in my life. One of my photos(actually 540 of them) printed at 35 feet wide and 8 feet tall in SUPER HIGH RESOLUTION. Now, lots of things are printed big, but I have NEVER before seen a super large photo printed in high resolution. Why? A couple of reasons: Because despite digital photography being good, it still doesn't compare to large format film photography. However even 8x10" large format photography or larger would have an issue holding up its image quality when printed at 35 feet wide. So, how did I manage to create an image that could hold up at that size? I didn't, I created 540 photos that I then used to create one super large image over 5 gigapixels in size. That's 5167 megapixels. 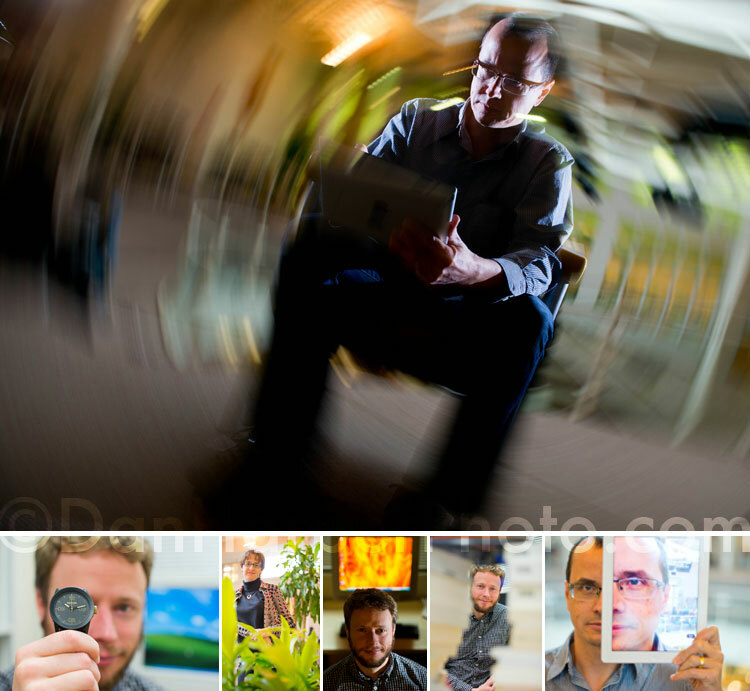 Yes, finally I made a major sale of my gigapixel image from a year or two ago! What's ironic is I just gave a presentation on large photo printing where someone asked "Is there any commercial aspect to a gigapixel image?" To which I answered a simple "No, I have never sold one, nor do I think anyone will ever want to buy one." Boy was I wrong! Unfortunately this massively large and super detailed photo is still under a non-disclosure agreement so I will be posting later in the summer about where and how you can see it. 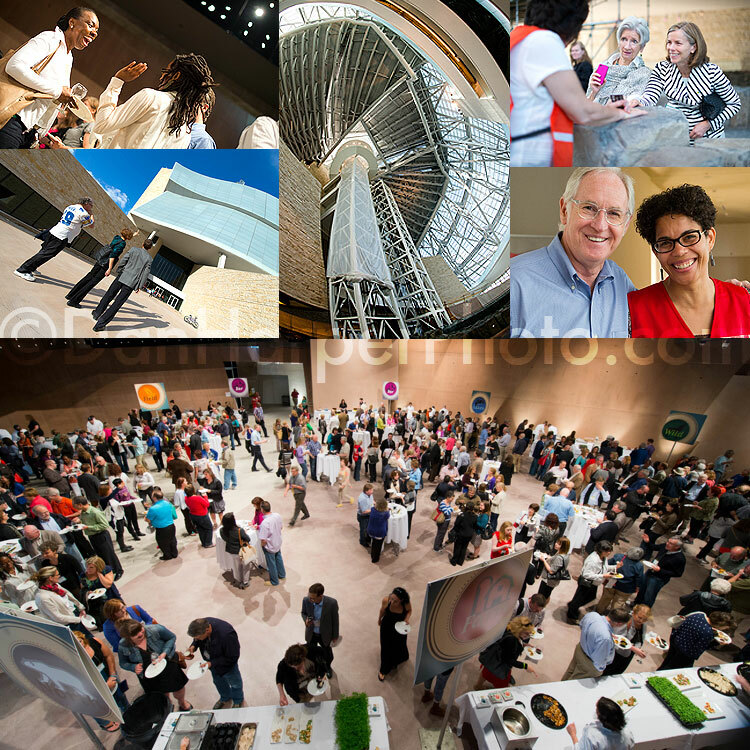 Event photography: The FIRST OFFICIAL EVENT for the Canadian Museum for Human Rights (CMHR)! Today marked a major event for Winnipeg and myself as I have been an official photographer for the CMHR since it was just a parking lot. Congratulations to all involved for a very successful event! Winnipeg Photography Community: Today I organised two speakers and hosted the June meeting of The WPC, my almost 9 year old photo club. We had another great turnout of about 50+ people. In the news: Today I was interviewed by CBC television for a segment about my gallery at the USB. ***You can now see this interview on CBC's web site by clicking here. As the official photographer and photography coordinator for the MTS Centre I offered the opportunity to anyone from my photo club (the Winnipeg Photo Community) to shoot Fleetwood Mac for me and chose Jay out of the 5 applicants to cover it for me. Thanks Jay! It's great that Tourism Winnipeg recognizes that there are so many organisations and people in Winnipeg that help bring in so many tourists and that they created an awards event for just that reason! As the regional manager for Marathon-Photos, today I organized 4 paid shooters and 3 volunteer shoots for the Winnipeg Police half marathon. Good luck to all the runners and to my crew of photographers. Shooting a marathon is like...running a marathon! Winnipeg Photo Community: Today I organized an out of town starscape and startrail shoot near Gimli, Manitoba for the WPC. We had about 14 members show up which is great when it's still so cold out, especially overnight and on the frozen lake. Event photography for the CBC: Canada 150! Canada is turning 150 in 2017 and the CBC is already spearheading discussion from some of the biggest names in Canada in order to get the ball rolling. Very cool event being able to hear so many great minds speaking. Today I set up a super massive gallery of my work at the St Boniface University gallery. 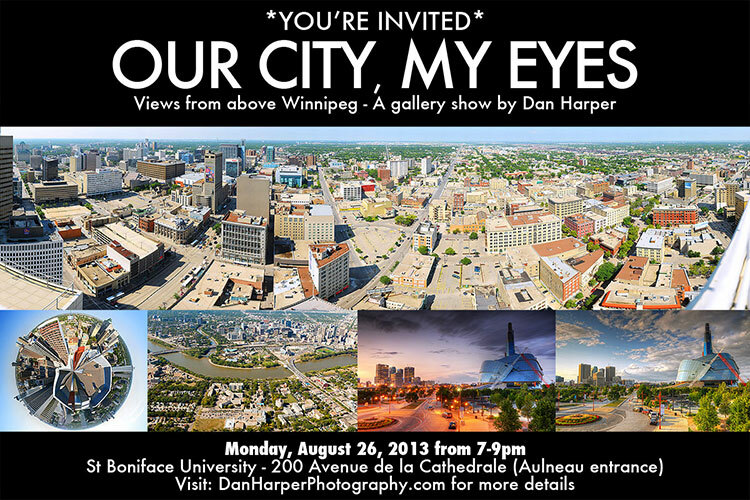 On display are two 150"x40" prints one of which I believe is the 2nd largest image ever taken of Winnipeg, (with the largest being an 8.5 gigapixel image I took just last year). I also have several 24x36" prints including a helicopter photo as well as the photo that is now being used on a Canada Post national stamp. 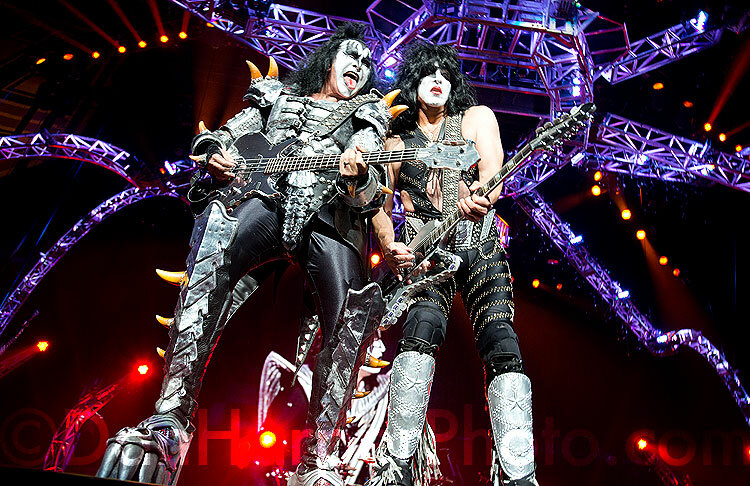 Also there are two metal prints, very cool, as well as several 8x12" prints. The gallery is open from May 3rd to August 31st and I will soon be sending out a gala opening night invitation. Huge thanks to Mel from the USB for her help and coordination with this project! As the official photographer and photography coordinator for the MTS Centre I offered the opportunity to anyone from my photo club (the Winnipeg Photo Community) to shoot Stars on Ice for me and chose Doug out of the 3 applicants to cover it for me. Thanks Doug! Today I organized a fun event for the WPC: "Spring thaw on the river"
Thanks to Bobby for covering it for me! Marathon-Photos: As the regional director for Marathon-Photos, today I trained four people to shoot for us at the Winnipeg Police Half Marathon next week. These training sessions are always interesting as people have very different skill sets and knowledge of their cameras and we have particular needs in the photos. Shooting a runner coming at you is nothing like shooting a motionless landscape. As the official photographer and photography coordinator for the MTS Centre I offered the opportunity to anyone from my photo club (the Winnipeg Photo Community) to shoot Leonard Cohen for me and chose Dwayne to cover it for me. Thanks Dwayne! Tonight I organ is ed three presentations for the WPC: one RAW presentation, one on HDR and I did a presentation on sensor cleaning. Videos upcoming on the WPC. 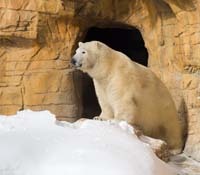 Today I shot new photos of Hudson, the newish polar bear at Assiniboine Park Zoo. He went from large dog to small bear since the last I saw him. He's growing up fast! 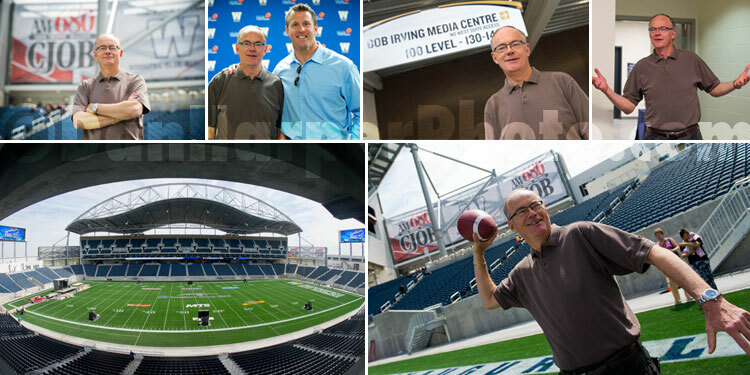 Commercial photography for Power97 & FreshFM: Today I participated in a really cool shoot close to my heart. Power97 & FreshFM partnered with an anti-bullying company to bring awareness to something that I feel has a serious affect on society. I took photos of just about everyone at Power & Fresh to be used in a video and as photos online. It's great when so many ppl come together to support a project and cause like this! 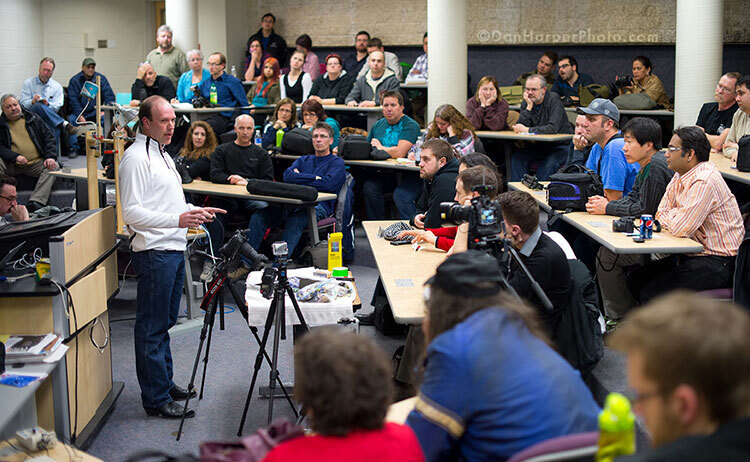 Today I attended a cool event, a gathering of photographers from Winnipeg. 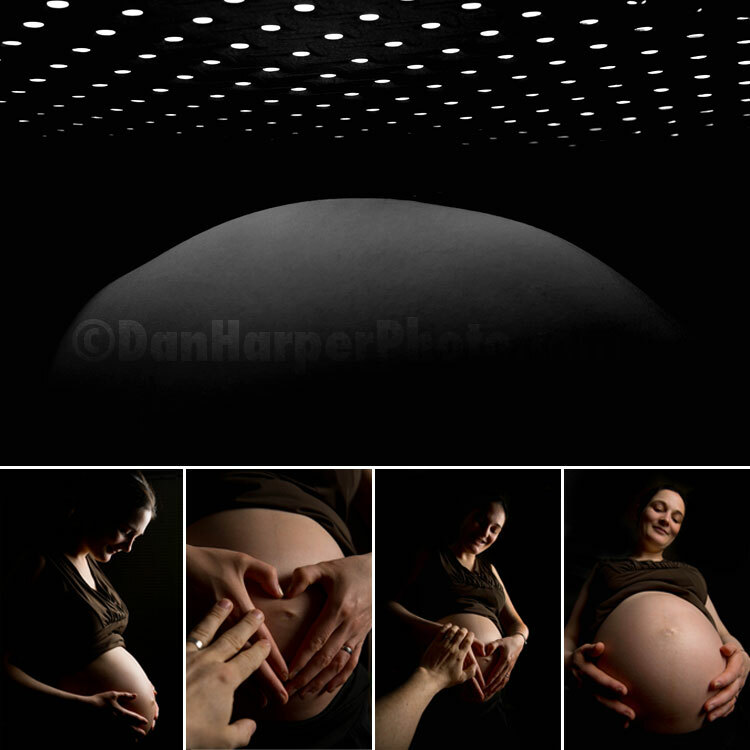 Created and put on by April, an old friend I met while teaching years ago at the PrairieView School of Photography. It was great to talk to old friends and make new friends, all of whom have a passion for the same thing, photography! As the official photographer and photography coordinator for the MTS Centre I offered the opportunity to anyone from my photo club (the Winnipeg Photo Community) to shoot Billy Talent for me and chose Dwayne to cover it for me. Thanks Dwayne! As the official photographer and photography coordinator for the MTS Centre I offered the opportunity to anyone from my photo club (the Winnipeg Photo Community) to shoot the Circus for me and chose Dwayne to cover it for me. Thanks Dwayne! As the official photographer and photography coordinator for the MTS Centre I offered the opportunity to anyone from my photo club (the Winnipeg Photo Community) to shoot Rihanna for me and chose Bobby to cover it for me. Thanks Bobby! Félicitations à l'USB pour avoir obtenu le niveau le plus haut de certification: LEED Or! Today I sold a large eight foot panoramic print to First General Services for their boardroom. It looks amazing on their wall! As the official photographer and photography coordinator for the MTS Centre I offered the opportunity to anyone from my photo club (the Winnipeg Photo Community) to shoot Great Big Sea for me and chose Shaun to cover it for me. Thanks Shaun! As the official photographer and photography coordinator for the MTS Centre, as I am still out of town, I offered the opportunity to anyone from my photo club (the Winnipeg Photo Community) to shoot Great Big Sea for me and chose Shaun to cover it for me. Thanks Shaun! 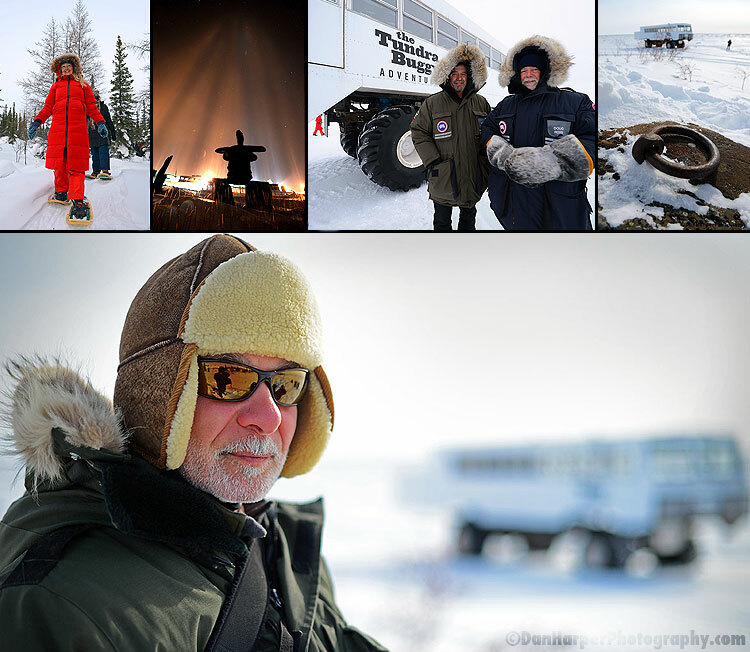 Today during the day I went out in the community and took portraits at several events around town and then had my own private tundra buggy tour! Just me and the driver! Today, we went to the great Parks Canada facility which houses some great displays of a polar bear den with cubs and also boasts some great videos of subjects surrounding the area. It was great to see Mike and Duane who I had met two years back while shooting for Parks Canada, on my first trip to Churchill. In the afternoon, we had a good-bye lunch where ALL of the tour group members praised me for my help with their photos. This was a true honor to hear that "You should have Dan on every tour" is one of the best compliments ever! After that I said good-bye to all my new friends as they took the afternoon flight out of Churchill and I was lucky to have two more days! At night, possibly the most epic adventure awaited. I had suggested to John from Frontiers North, that one of the most amazing photos we could get was one with the Northern Lights and Fort Prince of Whales. Unfortunately, although only about 800m away from the tip of land that the town of Churchill is on, it was all but out of reach due to not being able to take the Tundra Buggies onto the hummock scattered ice. Thankfully, John is as adventurous as I am and we decided to take snowmobiles! Another great adventure, my first time on a snowmobile: John having grown up on and off in Churchill had spent a great deal of time on snowmobiles, however myself, growing up in Winnipeg and BC in the summers, although accustomed to rugged living had never been on a snowmobile. Thankfully with Johns trust (but almost no instruction other than how to start it) we were off! Now, you would think that going only a couple of KM on a snowmobile wouldn't be that hard, however, in pitch black, no moon and with a temperature of -50something with the windchill it wasn't going to be easy. And it wasn't! 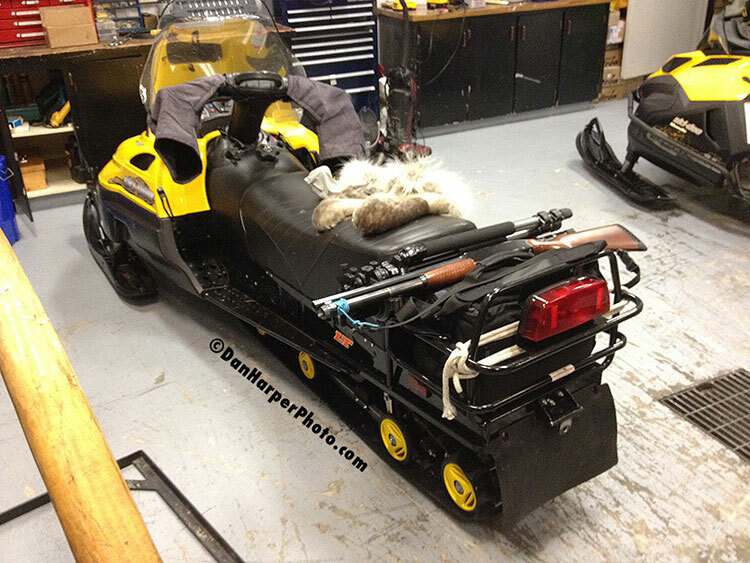 We geared up to the max including camera gear, tripods as well as shotguns in case of bears, would it be enough? Would we even get there? After dumping my snowmobile twice and needing help getting it upright again, despite expert guidance by John, his snowmobile got stuck in a snowbank almost two stories high. It took us over 40 minutes to dig it out thanks only to perseverance and a lot of sweat! After this, we were so battered and the conditions were no longer good for photos so we headed back home without further incident. Today, as I am still out of town shooting for Frontiers North, I asked Robert L. to cover an event for St Boniface University for me. Thanks to Rob for stepping up to the plate for me while I'm out of town! Today we had a more relaxed day and visited some of the local shops and attractions including the Eskimo Museum and Northern Store. Then during the afternoon, after still being a bit sad that my potential extra days in Churchill were quashed, got some interesting news. Due to flight restrictions and moreso thanks to the kindness of Tricia from Frontiers North because she was disappointed I didn't get much time to get some shots of the auroras for myself on the first night, I was offered to stay for two extra days in Churchill! At night, we went out in search of a different location closer to the town of Churchill to get photos from. We ended up just a few KM out of town where at first we had no sign of them but then they came out very strong! I helped several people from the group to ensure they came out of the tour with at least a few good shots of the Northern Lights, several of whom praised me highly for all the help. During the day we took the tundra buggies to a historic location just across from the Port of Churchill . This is an area where boats moored in the early 1700's (some of Canada's oldest history) and where the moorings still exist. Just around the corner from this area we went snow shoeing and despite this being my first time snow shoeing, I still managed to run around our group, capturing photos without ending up in the snow. During the day I had a very strange coincidence occur: One of my other clients, Assiniboine Park needed photos of kids in Churchill for their new "Journey to Churchill" display. Jim, who actually wrote most of the text for these signs etc was our guide on the trip! So, I was asked if I could stay on for another couple of days and after spending a long time on the phone with both my new wife as well as to get some of my photographer friends in WPG to cover some of the other gigs I had over the next couple of days when I was supposed to be back, I finally was able to get everything covered. However, at the last minute after all the excitement of being able to stay another couple of days, budget constraints caused the cancellation of the extra days. However, that wasn't the end of it. At night, despite being head-faked by ice crystals in the air which look similar to the northern lights, we didn't see the aurora themselves as it was too cloudy. As the official photographer and photography coordinator for the MTS Centre, as I am out of town, I offered the opportunity to anyone from my photo club (the Winnipeg Photo Community) to shoot Bob Seger for me and chose Dwayne to cover it for me. Thanks Dwayne! 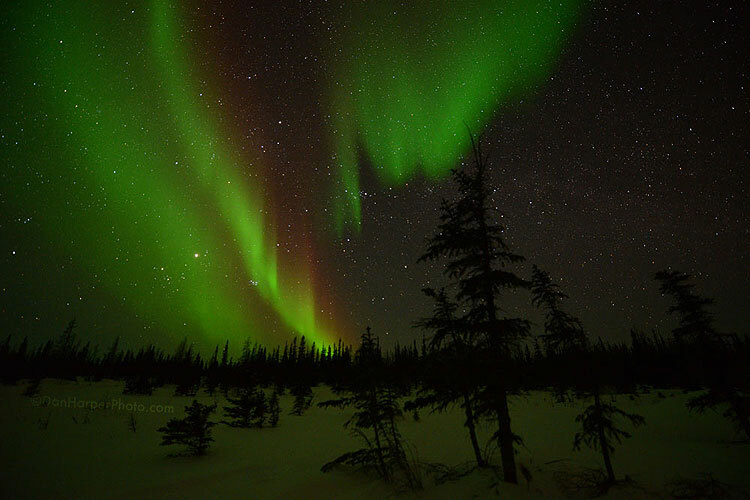 I'm absolutely honored to be shooting Frontiers North's "Northern Lights and Winter Nights" tour! Basically they hired me on just to get shots of the Northern Lights, the auroras with their vehicles and with their guests. After years of shooting aurora just for fun, I'm now getting to go to one of most people's "bucket list" locations, Churchill, to do what I love! Very cool! 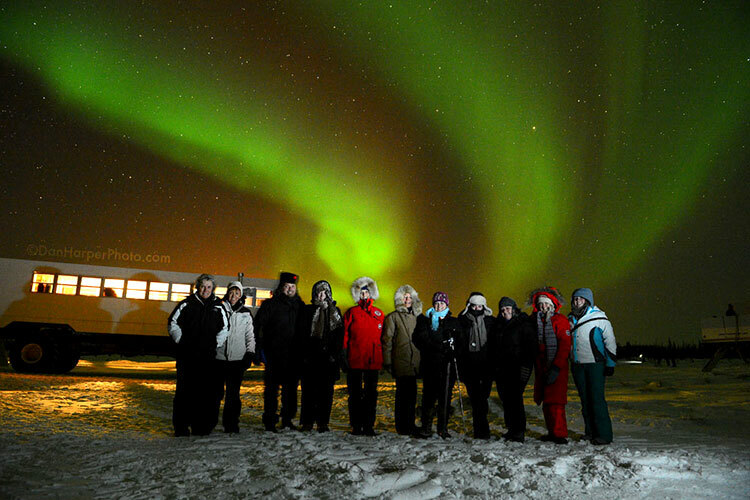 However, the tour isn't just about the Northern Lights, there is also dog sledding, snow shoeing and a whole lot of fine dining! Huge thanks to Tricia and John for the opportunity! Today we got off the plane and immediately went to dog sledding as David Daley, dog sled leader and instructor for Wapusk Adventures was leaving to go on the Hudson Bay Quest race just hours later. 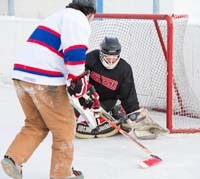 We had great instruction and then I actually got to shoot while on a dog sled run. After that we had an amazing dinner, despite the fact that the facilities in Churchill may not all be 5 stars, the food definitely was! After a great dinner and a short time to relax, we went out on the tundra buggies in search and hope of a great evening of Northern Lights and we sure weren't disappointed. They came out in great fashion and put a spectacular display, the best display I have ever seen on them in 7 years of capturing them and what would also be the best display we saw over the 3 nights. I concentrated on getting shots of the buggies as well as a big group shot which almost killed one of my remote flashes. Sadly due to helping many of the people on the group set up their cameras and concentrating on the group and individual portraits wasn't able to get much for myself other than a couple of time-lapses. 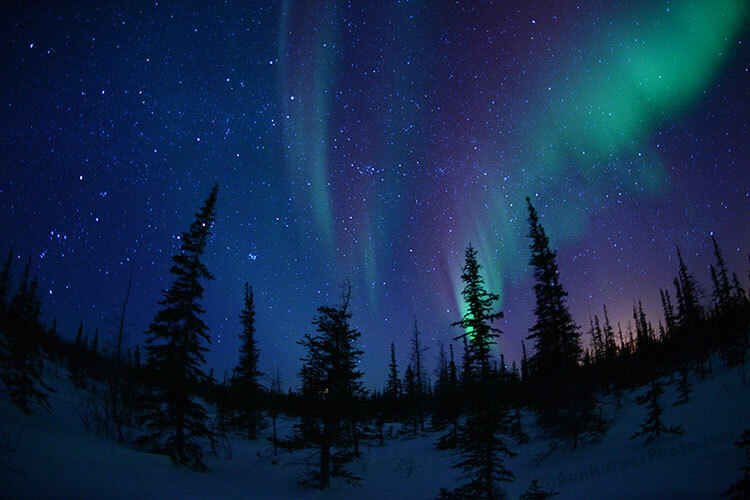 Still, an amazing view of the Northern Lights. Winnipeg Photography Community: Today I organized an event for the WPC where I had three different members present their unique water drop photography. There were over 75 members in attendance, so many that we had to bring in chairs from another room to accomodate everyone! Video of the event on the WPC. 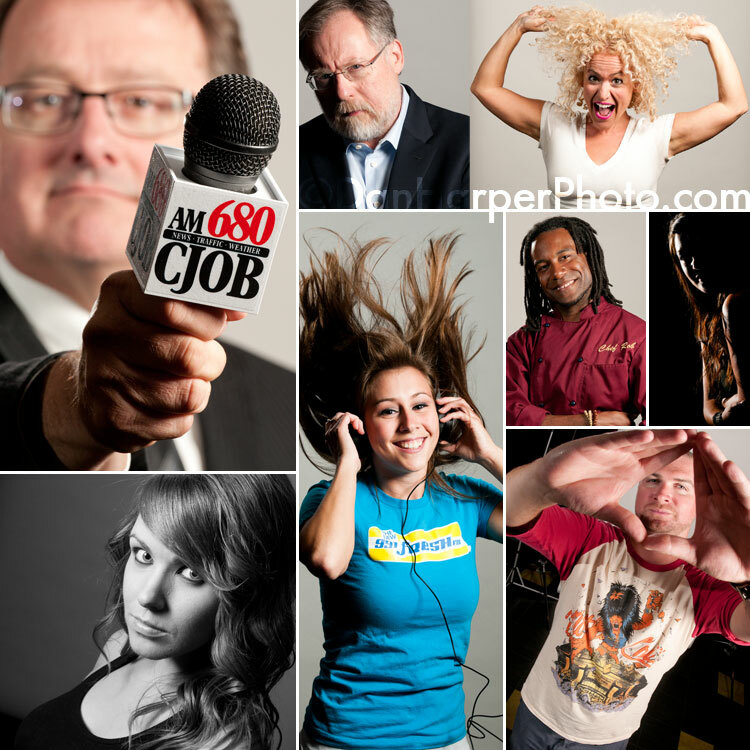 Advertising photography for Power97: New crew! 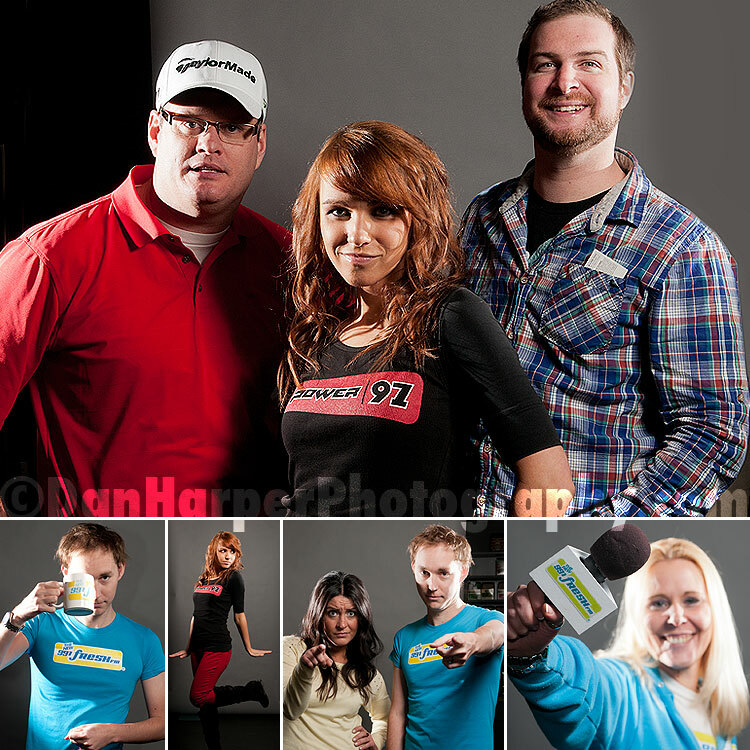 Today I shot photos with the new morning crew from Power, Cam, TJ and Vicki, as well as several new or newish personalities from FreshFM. It was really interesting as they had never all met before so it was cool to see the dynamic during the shoot. Unfortunately due to cloudy weather todays WPC starscape group shoot was cancelled but has been rescheduled to May 4th. As the official photographer and photography coordinator for the MTS Centre I offered the opportunity to anyone from my photo club (the Winnipeg Photography Community) to shoot Disney for me and chose Bobby out of the 3 applicants to cover it for me. Thanks Bobby! 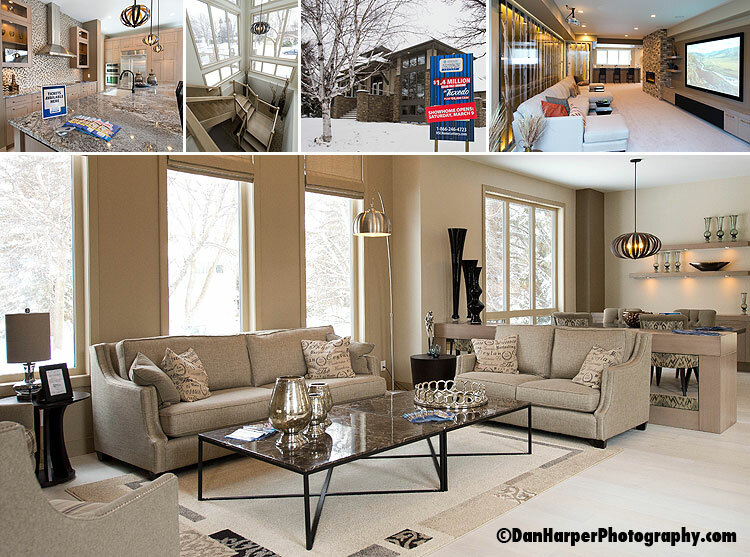 It's with a bit of sadness today that I photographed another lottery show home today for the HSC lottery. The sadness comes from having a 1.4 million dollar home to yourself for a few hours and then having to go home to my much smaller and less modern home. I've been working the HSC lotteries here in Winnipeg for several years now and it's always exciting to see the homes and cottages and then sad to realize that I'll have to come home to much less square footage than one of their closets. HA! As the official photographer & photography coordinator for the MTS Centre, I offered the opportunity to members in my photo club, the Winnipeg Photo Community, to shoot the Pink Floyd Experience (PFX) tonight and from a handful of applicants I chose Dwayne to shoot it in my place. Thanks Dwayne! *This is part of a personal belief of mine to help other up and coming and other local photographers get the opportunity to shoot a high end event such as one at the MTS Centre. Today I shot two very different events in three very different areas within the CCFM, one intimate concert and one very large children's event: Freeze Frame that used two rooms, one for a film screening and the other what I can only describe as a large play room. Winnipeg Photo Community event: As the president of the WPC I organized a massive workshop tonight on how to shoot steel wool. There were over 50 members in attendance tonight for a really fun event. I organized not only getting permission to use the Forks site but also get a huge vat of tea for 50 ppl. Over the past several years I've been a volunteer speaker for several clubs & organisations and today I was very pleased to be an honorary critiquer at the USB photo club's critique session. 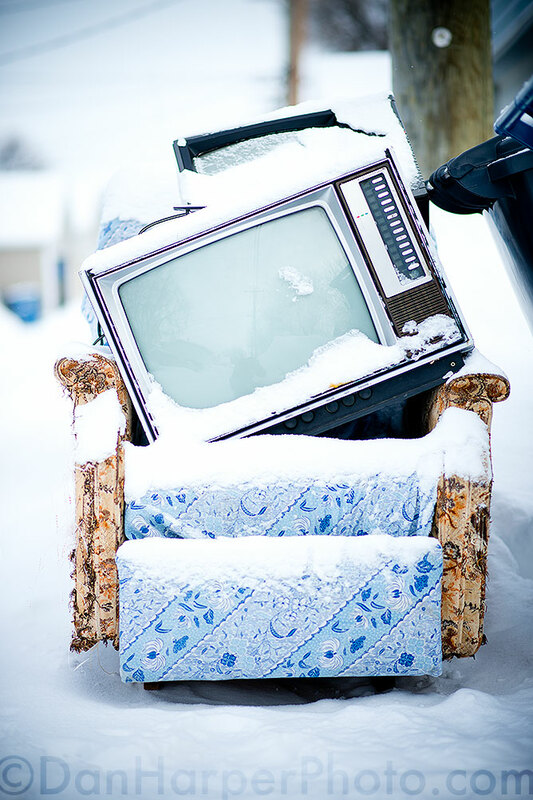 They were asked to get together some recent winter images for critiquing, the best way to improve your photography! I had an absolute blast, partially because I had to fumble through some of the technical photography terms I didn't know in French but also because the club's members were very welcoming to my suggestions and critiques. As the offical photographer & photography coordinator for the MTS Centre, as I was busy today shooting for Festival du Voyageur, I offered the opportunity to members in my photo club, the Winnipeg Photo Community, to shoot Monster Jam tonight and from a handful of applicants I chose Adam to shoot it in my place. Thanks Adam! Today I had organised an event for the WPC but unfortunately couldn't lead it as I was busy shootinfg for Festival du Voyageur so had Robert a fellow photographer and WPC moderator to lead the group. Thanks so much Rob! As the offical photographer & photography coordinator for the MTS Centre, as I was busy today shooting for Festival du Voyageur, I offered the opportunity to members in my photo club, the Winnipeg Photo Community, to shoot Eric Church tonight and from five applicants I chose Amber to shoot it in my place. Thanks Amber! As the offical photographer & photography coordinator for the MTS Centre, as I was busy today shooting for Festival du Voyageur, I offered the opportunity to members in my photo club, the Winnipeg Photo Community, to shoot the Tenors and from a handful of applicants I chose Tara to shoot it in my place. Thanks Tara! 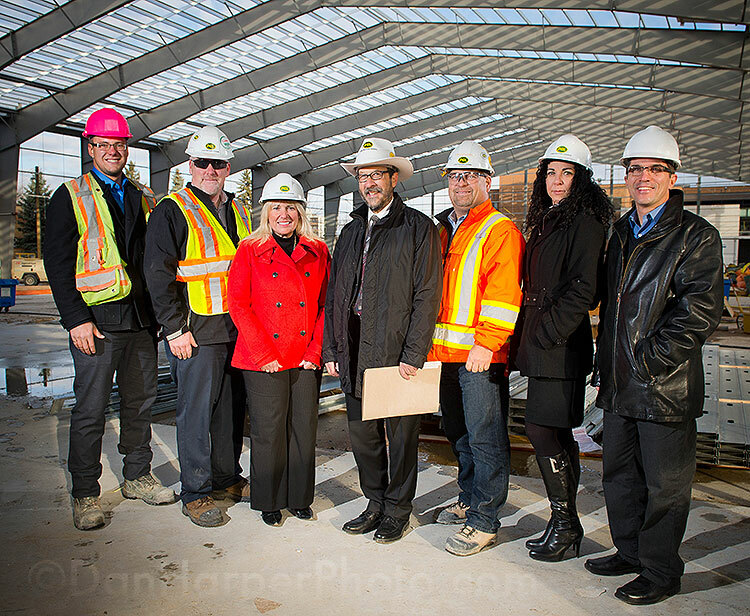 Today I continued a multi-month project to get new photography for the French Cultural Centre. As the offical photographer & photography coordinator for the MTS Centre, as I was busy today shooting for Festival du Voyageur, I offered the opportunity to members in my photo club, the Winnipeg Photo Community, to shoot Diana Krall and from a handful of applicants I chose Shaun to shoot it in my place. Thanks Shaun! This year I have brought on a team of 3 other photographers to cover portions of the event when there are two things to shoot at the same time and to cover bands and other thihngs that are of a lower priority. 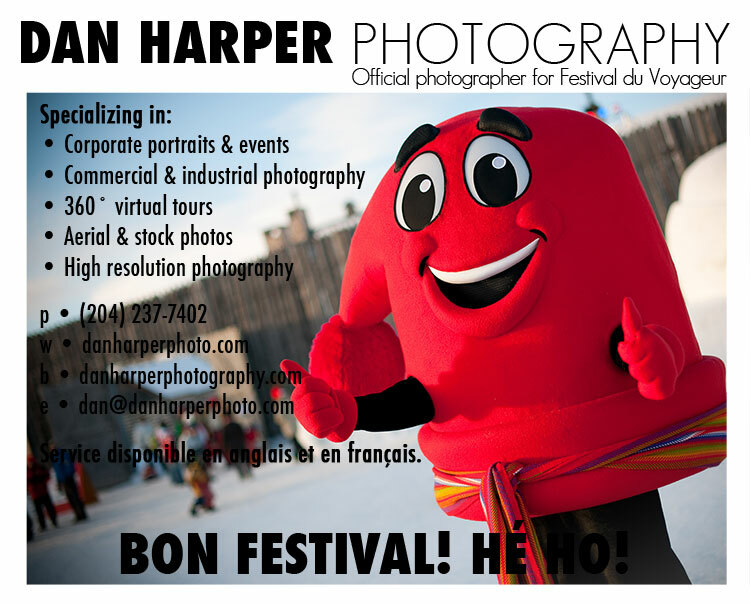 With Festival du Voyageur starting tomorrow, you might have seen my add as the official photographer in the guide. Sadly it's in B&W so since I'm such a colourful guy I thought I would share it here in full vibrant colour! See you at Festival 2013! HéHo! Charles and I have worked together before during multiple events including when he created the display for the Queen's corner stone, presented to the Canadian Museum for Human Rights. I was really happy to see his amazing works of art on stone! 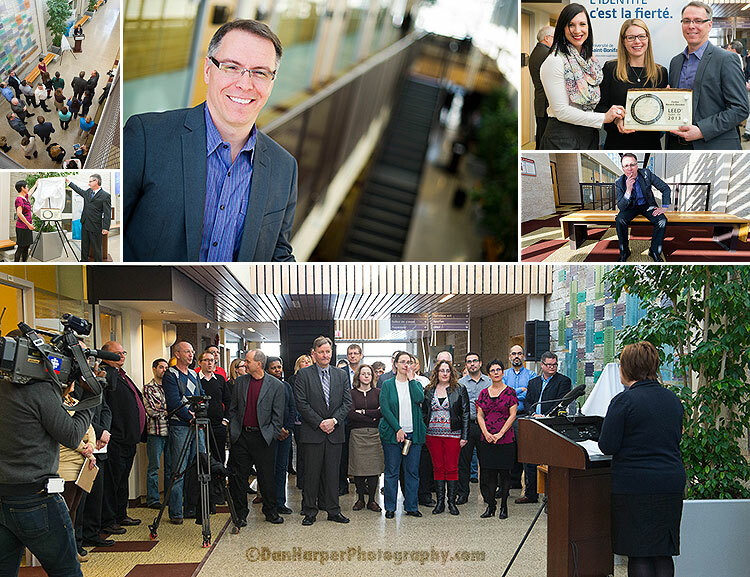 Winnipeg Photo Club: Today I hosted the first event for the WPC in several months. Due to my two weddings (one in WPG and one in France for my wife's family) I was so busy over the last few months that we haven't had many events but we're coming on strong for 2013 with 6 events in the first 3 months. 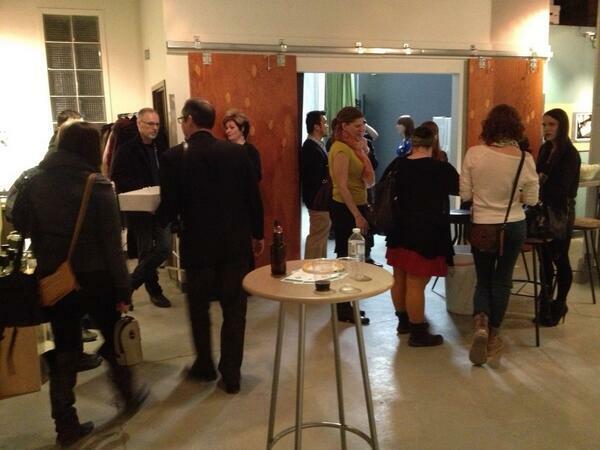 Tonight's event was a "Workflow and processing" event where I both hosted and presented one of 3 presentations. Huge thanks to Doug and Robert who also gave presentations. As the official photographer and photography coordinator for the MTS Centre I offered the opportunity to members of my photo club the Winnipeg Photo Community to shoot Marilyn Manson in concert. From a handful of applications I chose Tariqul to shoot the show. Thanks Tariqul! Today I was asked to shoot new photos of many of the animals at the Assiniboine Park Zoo for new signage and other advertising material. I got a really fun tour and some behind the scenes & behind locked doors shots, with the best tour guide in the zoo, Tim SS! As the official photographer and photography coordinator for the MTS Centre I offered the opportunity to members of my photo club the Winnipeg Photo Community to shoot Marilyn Manson in concert. From a handful of applications I chose Shaun to shoot the show. Thanks Shaun! Today I was given special access to the newest addition to the Assiniboine Park Zoo. These are the first public pictures of Hudson the polar bear in his new home at Assiniboine Park on the first day of his release into his outdoor enclosure. He is still under quarantine for a few days but there will be a public unveiling and press conference on February 14th for all you animal lovers! Live theatre/play photography: Chiens de Soleil: "Surprise"
Twitter post: I'm posting fairly often to Twitter now but only when I have a special photo to show. 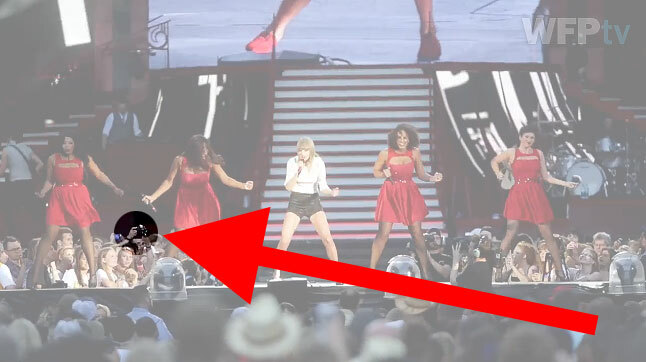 Normally I post behind the scenes looks at concerts or other on the spot photos. 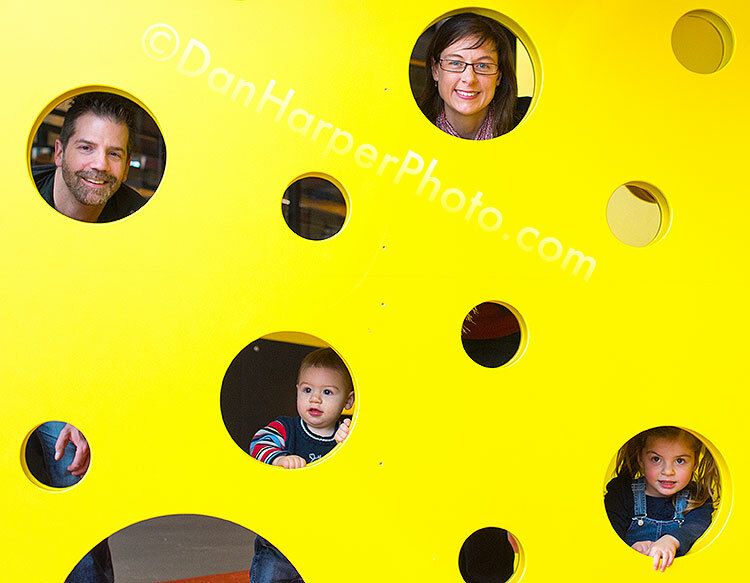 This is an amazing new indoor play structure for kids (or adults who can fit) and having been through the whole thing...a few times, I can tell you it's going to be a huge hit! It opens officially soon. I was gone this week to be married in France. My wife Camille and I had a wedding here in Winnipeg in July but also wanted to have a wedding for her family members who are all in France. So we did, today, and it was epic! Married in a church that is older than Canada and then having our ceremony in a 500 year old castle, amazing! Huge thanks to all the Séguys for all their help! As the official photographer for the MTS Centre I offered the opportunity for anyone in my photo club (WPGphoto.com) to photograph Blue Rodeo at the MTS Centre tonight and with five applications I chose Bobby to shoot it in my place. Thanks Bobby! Possibly the biggest news that will happen for me in 2013 is the unveiling today of my photo being on a Canada Post regular circulation stamp. 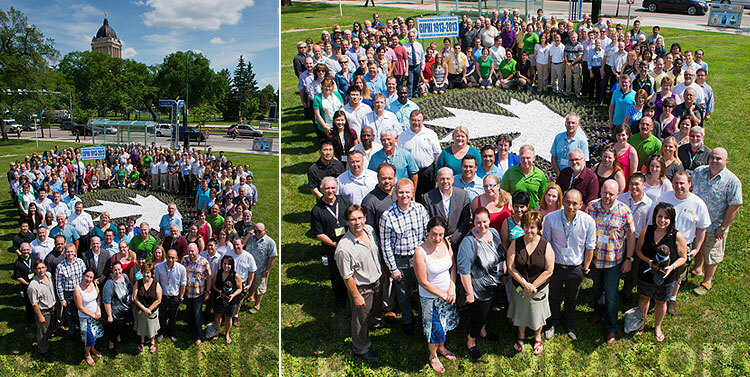 Not only great for me but also for Winnipeg and all the others involved from the WPG Biz! Today Minister Steven Fletcher, Premier Greg Selinger and Stefano Grande (WPG Biz) unveiled the new stamp which is part of a collection of five new permanent stamps showing interesting places where the Canadian flag can be found. So, when you go into the post office, don't just get another stamp of the Queen (although she's great!) grab one that says something about where you're from and grab the "Canadian Pride" collection which includes my photo! A great surprise for me is that they also used the photo on a prepaid post card. 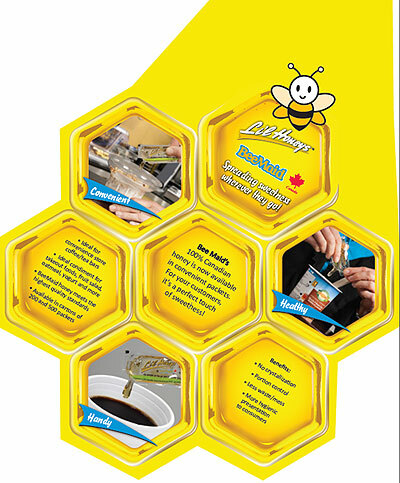 So, you can send your friends, family or relatives in other provinces or countries a piece of Winnipeg! This is obviously an honour and privilege to have a national stamp with Canada Post and I want to thank Signy and Jason from the WPG Biz! 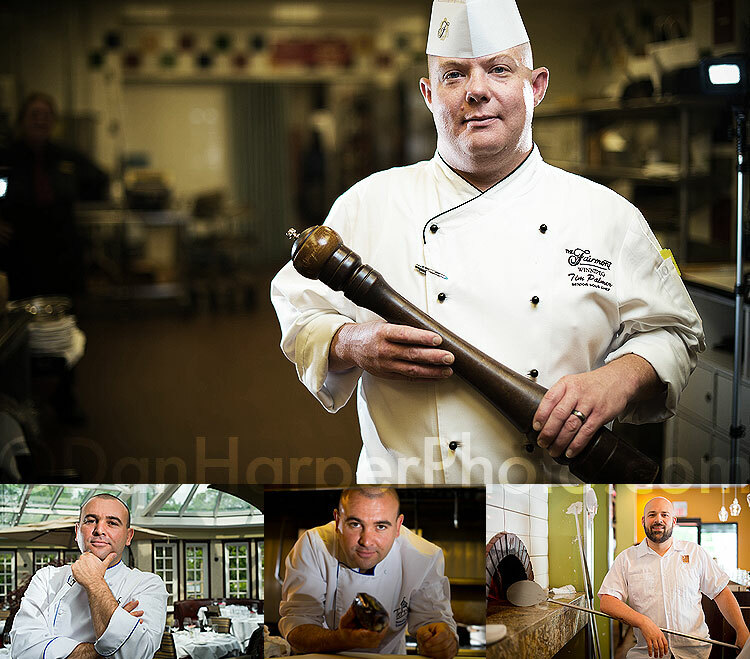 Web site update: With my stamp photo coming out in a couple of days I have updated my commercial web site/portfolio: DanHarperPhoto.com with new photos, information and a new splash image (finally!). As the official photographer for the MTS Centre I offered the opportunity for anyone in my photo club (WPGphoto.com) to photograph Journey at the MTS Centre and with three (3) applications I chose Shaun to shoot it in my place. Thanks Shaun! Happy new year to my family, friends, clients and BLOG lookers! I hope 2013 is an amazing year for us all!